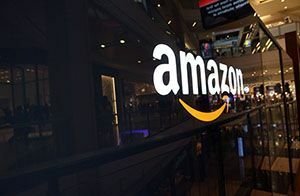 Sullivan & Cromwell and Wachtell, Lipton, Rosen & Katz led a host of elite US law firms advising Amazon on its $13.7bn purchase of Whole Foods Market, marking the online retailer’s first expansion into the bricks-and-mortar food industry. Sullivan & Cromwell and Wachtell Lipton Rosen & Katz lead a host of elite US law firms advising Amazon on its $13.7bn purchase of Whole Foods Market, as the online retailer expands into the bricks and mortar food market. Sullivan & Cromwell partners Krishna Veeraghavan and Eric Krautheimer are leading on behalf of Amazon while Wachtell Lipton Rosen & Katz partners Daniel Neff, Trevor Norwitz and Sabastian Niles are acting for Whole Foods. Weil Gotshal & Manges banking partners Morgan Bale and Heather Viets, capital markets partner Faiza Rahman, M&A partner Raymond Gietz and tax partner William Horton all represented Bank of America Merrill Lynch and Goldman Sachs. 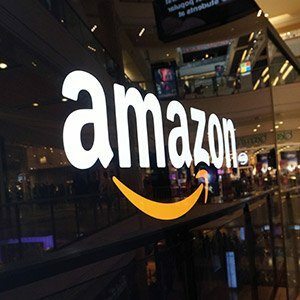 The banking giants provided debt financing for Amazon to pay for the merger. Latham & Watkins acts for financial adviser Evercore Partners on the deal, with a team consisting of corporate partners Adel Aslani-Far and Mark Gerstein. US-headquartered company Whole Foods hired Evercore Partners earlier this year to advise the company on a strategic review of its business operations. The merger is the first high-profile role that Sullivan & Cromwell has undertaken this year since advising Deutsche Bank on its £500m fine by the Financial Conduct Authority (FCA) in January. Sullivan & Cromwell white collar partner Samuel Seymour advised Deutsche Bank on its US settlement with the FCA. For Latham & Watkins, Amazon’s swoop on the upmarket food grocery market is the first major deal since advising offshore drilling contractor Ensco on its $839m acquisition of Atwood Oceanics. The top US-headquarted firm advised Ensco with a team lead by Houston-based energy partners Sean Wheeler and Debbie Yee. Ensco also turned to Slaughter and May corporate partner Hywel Davies for advice. Amazon was unavailable for comment. Sullivan & Cromwell, Allen & Overy, and Wachtell, Lipton, Rosen & Katz all won roles, as healthcare and agriculture giant Bayer placed a bid to acquire agricultural company Monsanto for $62bn, in a deal which would create the world’s biggest agricultural supplier. In the largest ever bid by a German company, Bayer believes the acquisition will reinforce the company as ‘a global innovation-driven life science company with leadership positions in its core segments’. It expects the acquisition will create profits of approximately $1.5bn across three years ‘plus additional integrated offer benefits in future years’. Allen & Overy (A&O) is advising Bayer on the financing of the transaction, while Sullivan & Cromwell is advising on M&A matters. Sullivan & Cromwell’s team was led by New York-based corporate partner Matthew Hurd, with Los Angeles based coporate partner Eric Krautheimer and antitrust partners Juan Rodriguez based in London and Steven Holley based in New York also working on the bid. A&O’s team is led by Frankfurt-based banking and finance partner Neil Weiand, while banking and finance partner Thomas Neubaum and capital markets partner Oliver Seiler are also advising from Frankfurt. Banking and finance partners Nicholas Clark and George Link and corporate partner Stephen Mathews are advising in London while corporate partner Hans Diekmann and tax partner Marcus Helios are acting from Düsseldorf. Wachtell, Lipton, Rosen & Katz will advise Monsanto through the potential acquisition. The company confirmed it had received the ‘unsolicited’ bid from Bayers, but ‘there is no assurance that any transaction will be entered into or consummated, or on what terms’. The bid is subject to due diligence, regulatory approvals and other conditions. The deal is the second largest M&A transaction to date this year, beating out China National Chemical Corp’s $43bn bid for Swiss seeds and pesticides group Syngenta in February. Advisers on that deal included Simpson Thacher & Bartlett, Davis Polk & Wardwell, and Swiss firm Bär & Karrer. Magic Circle firm Allen & Overy (A&O) has taken a lead role acting for Deutsche Börse as it spins off its US options exchange operator International Securities Exchange, in a move which looks to aid the German stock exchange operator’s proposed merger with the London Stock Exchange (LSE). A&O is acting opposite Wachtell, Lipton, Rosen & Katz on the sale of International Securities Exchange to Wachtell client Nasdaq for more than $1.1bn. A&O’s team is led by New York M&A partner Peter Harwich, with support from Frankfurt partner Hartmut Krause. Other specialist members from the firm’s New York office include tax partner Jack Heinberg and Elaine Johnston from the firm’s antitrust team. The firm has advised Deutsche Börse in the past, with Krause leading A&O’s advice to the stock exchange operator when it signed a landmark agreement between Germany and China to create the first dedicated platform for yuan-denominated trading outside China back in November last year. Wachtell’s advice for US operator Nasdaq was led by corporate partner David Lam. NASDAQ was advised by Jones Day on regulatory aspects of the transaction. Deutsche Börse is currently engaged in merger discussions with the LSE, in the third attempt of the rivals to merge. On this transaction the German stock exchange operator is being advised by Linklaters corporate partner Roger Barron. LSE has engaged Freshfields Bruckhaus Deringer, whose team is led by partners Andrew Hutchings, Mark Rawlinson and London M&A co-head Piers Prichard Jones. Macfarlanes has scored a lead role advising US company Visa on its €21.2bn acquisition of Visa Europe alongside US firm Wachtell, Lipton, Rosen & Katz, while Linklaters also secured a leading role advising the other side. In a transaction with up-front consideration of approximately €16.5bn and the potential for an additional earn-out of up to €4.7bn on the fourth anniversary of its closing, Visa and Visa Europe said the deal creates a ‘single global Visa business.’ Visa Europe, an association owned and operated by over 3,000 European financial institutions, has annual payment volumes of over $1.5trn and processes over 18 billion transactions each year. The Macfarlanes team, working alongside Wachtell, Lipton, Rosen & Katz, was led by M&A partners Graham Gibb and Nicholas Barclay. 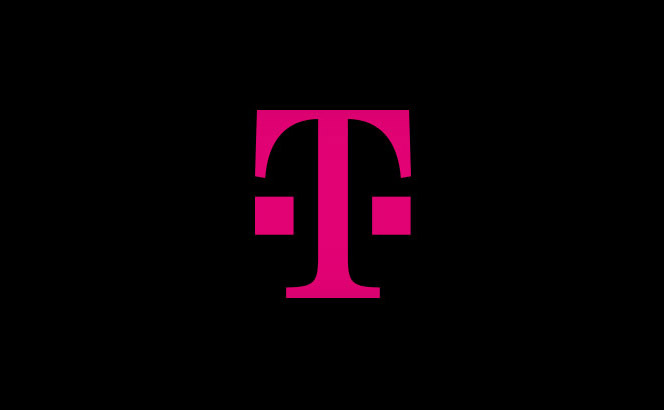 The two firms previously combined to great effect to advise Verizon on its acquisition of Vodafone’s 45% interest in Verizon Wireless for $130bn. 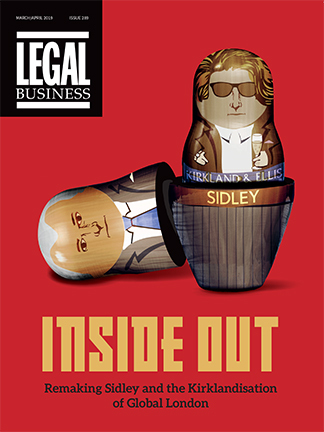 Milbank, Tweed, Hadley & McCloy also assisted Visa on the deal with a team lead by the firm’s London co-managing partner Julian Stait. The Linklaters team advising Visa Europe comprised US corporate partner Scott Sonnenblick in New York, as well as partners Aedamar Comiskey and Stephen Griffin from the London corporate team. Recent transactions for Macfarlanes include advising client Exor on its increased investment in The Economist Group for £469m in July, while Freshfields Bruckhaus Deringer advised seller Pearson. Last year Linklaters advised Visa Europe on high profile litigation work, alongside Milbank, to secure a judgment in favour of the company after 12 major UK retailers led by the Arcadia Group sought damages in relation to Visa’s setting of interchange rates. The deal is subject to regulatory approvals and is expected to close in the third quarter of 2016. In one of the largest M&A deals so far this year, US law firms continued to show their dominance of their home market with six securing roles on the $55bn takeover of Time Warner Cable by Charter Communications. Charter Communications confirmed yesterday it would acquire Time Warner Cable in a deal valuing the company, whose channel stable includes HBO, CNN, Cartoon Network and DC Comics, at $79bn. New York-based Steven Cohen, a corporate partner at Wachtell, Lipton, Rosen & Katz since 2000, spearheaded the deal for Charter Communications, the fourth-largest cable operator in the US and which is paying $55bn in stock and cash for the company. Kirkland & Ellis is representing Charter as financing counsel. Time Warner Cable enlisted Paul, Weiss, Rifkind, Wharton & Garrison, Latham & Watkins and Skadden, Arps, Slate, Meagher & Flom to handle its sale. New York corporate partners Robert Schumer, Ariel Deckelbaum and Ross Fieldston led the legal team at Paul Weiss while Washington DC-based Latham partners Matthew Brill and James Barker advised Time Warner Cable on strategic and regulatory advice, with Michael Egge handling antitrust matters. The acquisition was backed by cable mogul John Malone’s Liberty Broadband, Charter’s largest shareholder, which agreed to purchase $4.3bn of Charter shares. Liberty is expected to control 25% of the aggregate voting power of New Charter and is expected to be its largest stockholder. Liberty instructed New York-based Baker Botts corporate partner Buzz McGrath to lead the deal, with support from corporate partner Renee Wilm and tax partner Tamar Stanley. As part of the new company, Charter also purchased video service provider Bright House Networks for $10.4bn. Sullivan & Cromwell represented Bright House Networks and its owner, Advance/Newhouse Partnership, in connection with the sale. The team at Sullivan was led by New York-based corporate partner Brian Hamilton, with support from tax partner Ronald Creamer and antitrust partner Yvonne Quinn. Wachtell, Lipton Rosen & Katz; Skadden Arps Slate Meagher & Flom and Goodwin Procter have taken the lead roles on Bank of America’s $16.6bn settlement with the US Department of Justice (DoJ), federal agencies and six US states. In what is the largest civil settlement with a single entity in American history, Bank of America (BoA) has agreed to pay the sum of US$16.6bn after long-standing federal and state allegations that the BoA and its former and current subsidiaries, including Countrywide Financial Corporation and Merrill Lynch, sold mortgage-backed securities to investors that contributed to the real estate market collapse amid the 2008 economic downturn. Of the record-breaking $16.6bn resolution, almost $10bn will be paid to settle federal and state civil claims by various entities related to RMBS, CDOs and other types of fraud. BoA will pay a total of $9.6bn in cash and provide approximately $7bn worth of consumer relief. The cash portion consists of a $5bn civil monetary penalty and $4.6bn in compensatory remediation payments. Wachtell litigator Meyer Koplow advised BoA on the settlement, while Skadden Arps corporate and commercial litigator Charles Smith also represented defendant BoA and Merrill Lynch on the SEC portion of the deal. Goodwin Procter partners Brian Pastuszenski and Inez Friedman-Boyce advised other BoA entities on its deal with the Federal Deposit Insurance Corporation. Litigation boutique Bailey & Glasser’s Benjamin Bailey and Grais & Ellsworth’s David Grais acted for the Federal Deposit Insurance Corporation (FDIC). The settlement is part of the ongoing efforts of President Obama’s Financial Fraud Enforcement Task Force and its Residential Mortgage-Backed Securities (RMBS) Working Group, which has recovered $36.65bn to date for US consumers and investors. The largest drug retailer in the US, Walgreens, has instructed Wachtell, Lipton, Rosen & Katz and Magic Circle firm Allen & Overy to handle its full combination with Nottingham-based chemist Alliance Boots. Walgreens board of directors has exercised an option to complete the acquisition of the remaining 55% of Alliance Boots after an initial 45% investment completed in 2012. The $9bn deal will create a pharmacy-led retailer with more than 11,000 stores in 10 countries. Walgreens expects to close the transaction in the first quarter of 2015, with the combination also set to establish the world’s largest pharmaceutical wholesale and distribution network with more than 370 distribution centres delivering to more than 180,000 pharmacies, doctors, health centres and hospitals in 20 countries. Walgreens Boots Alliance will be headquartered in Chicago, declining to carry out a tax inversion that would have added to the $1bn in savings planned by end of 2017. Walgreens said in a statement that the combined size and scale of the companies will help the two to expand supply while addressing the rising cost of prescription drugs in America and worldwide. The A&O team was led by Amsterdam corporate partner Justin Steer, alongside the office’s head of competition Paul Glazener. Investment banks Goldman Sachs and Lazard acted as financial advisers on the transaction. Gibson Dunn’s New York corporate partners Eduardo Gallardo and Dennis Friedman were enlisted by Lazard.